PLAYING THE PART: Benzwick putting the moves on Christene Marshall in this scene from Tulloch's new play. Whether you saw him pleading his case in court in the woman-rapes-man drama Against His Will or coming to terms with a stinging betrayal in A State of Affairs, Jerry Benzwick’s acting performances always leave a lingering impression. He was off the radar for years, but this month he makes a solid return to the boards in the keeping-the-faith dramedy Across the Bridge, starring opposite Leonie Forbes and writer-director David Tulloch. In a catching-up interview, the 40-plus actor, businessman and sports administrator tells TALLAWAH what he’s been up to and what’s coming up next. TALLAWAH: You took a long self-imposed hiatus from theatre. How did you spend the time away from the stage? Jerry Benzwick (JB): You could say I was trying something different. Searching and exploring a different space. I spent most of it in the States, and I definitely needed that time away. But after a while I felt very strongly that I needed to come home. 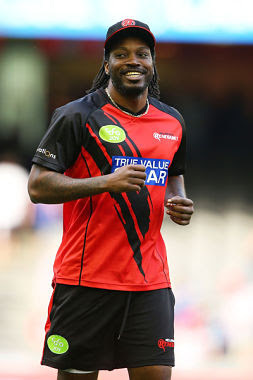 Something special is going to happen in the next chapter of my life, and I want it to happen in Jamaica. TALLAWAH: Welcome back! Jamie Scott, your character in Across the Bridge, is a player and a hustler, but deep down he’s no Prince Charming. Are there any similarities between Jamie and Jerry we should know about? JB: Oh no, no sah. I’m not that evil (Laughs). And a lot of people who’ve seen the show never expected it; they all thought I was genuine. But I find that the bad guys are more fun to play. I want to play a really evil character in one of my next shows. 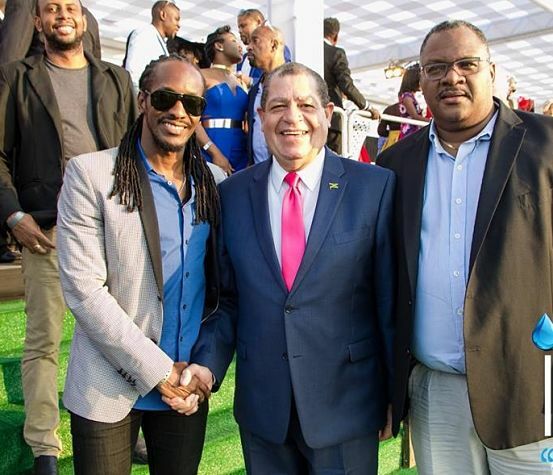 TALLAWAH: As Chairman of the Jamaica Football Rugby Union, you’re in the news a lot these days, seeking sponsorship for the association. Tough job. JB: It’s a tough task. The local union gets some funding from the international body, but most of what we do as administrators is voluntary work; we’re not paid for it. And most of the guys have to pay their own way. Our main aim is to promote the sport, empower the players and get them ready for international competition. Right now we’re preparing two teams for a tournament in Hong Kong in April. Airfare is being provided for the guys by the international body, but we have to find money for gears and nutrition. TALLAWAH: Theatre, sports, business. What’s your true passion? JB: All of them, but rugby was my first love. From I was going to high school [St. Catherine High]. I’m a do-what-you-love kind of person. So even if there’s no money in it, I’m gonna do what I love. But you must pay the bills (Laughs). TALLAWAH: If you had to choose a most memorable stage role from the body of work you’ve created over the years, which would you select and why? JB: None of them compares to Oroonoko, a role I played while at the School of Drama. It’s a true story about an African warrior prince who is betrayed and sold into slavery. He tries to stay respectful and dignified to the white supremacists, but it ends tragically. One of my dreams is to produce and remount it so that this young generation can get to see it. TALLAWAH: What are your thoughts on the current state of the Jamaican theatre industry? JB: It’s vibrant. I like what I see after being away for so long. Of course, the cost to put on a production is high and advertising is very expensive. But you see where producers are being crafty. So theatre in Jamaica can’t dead. TALLAWAH: You’ve always managed to juggle multiple projects all at the same time. What’s left for you to accomplish? JB: A lot. I want to write, direct and produce, and mi nuh start yet (Laughs). So there’s still a lot left for me to do. TALLAWAH: At your age, are you satisfied with the hand life has dealt you? Do you feel older and wiser? JB: Definitely. I’m always happy. I love life. So even if I’m broke, there’s always something to be thankful for. > Catch Benzwick and his castmates heating up the stage in Across the Bridge at the Phoenix Theatre, New Kingston. Tickets: 442-1669. 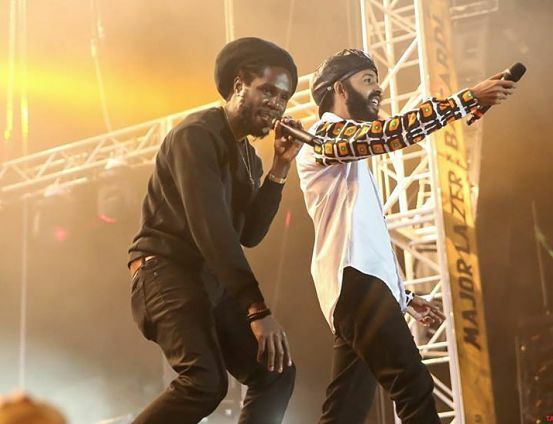 ON TOUR: Chronixx says time will tell! 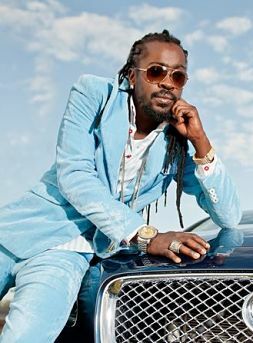 The top-flight reggae star will release his long-awaited full-length debut album, Chronology (via VP Records), in early 2017. 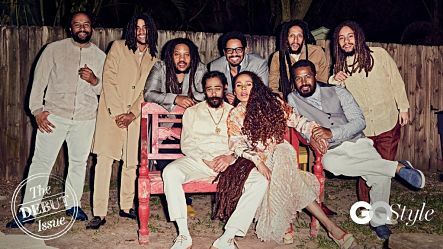 Next to Damian Marley’s Stony Hill, Queen Ifrica’s Climb and Chris Martin’s Big Deal, it’s one of the most highly anticipated reggae albums of the upcoming year. 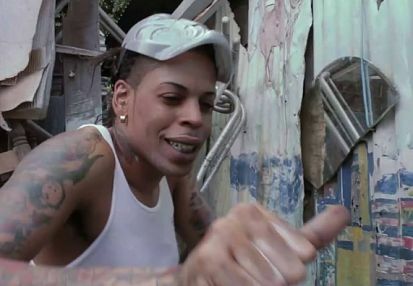 In support of the effort, the 24-year-old artiste and his Zinc Fence Redemption Band will kick off a massive North American tour on March 2 at Tod’s Place in New Haven, Connecticut. The 39-city Chronology Tour, hitting venues large and small across the United States and Canada, climaxes on April 30 at The Paramount in Huntington, New York. Tickets are now on sale. 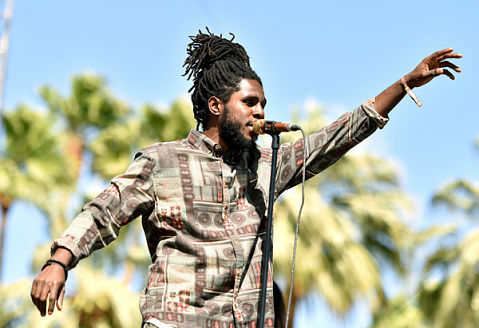 Meanwhile, the first single off Chronology is a breezy, radio-ready track called “Majesty,” which samples Otis Redding’s classic jam “I’ll Be Around.” “[The song] is about spiritual vibration,” Chronixx (né Jamar McNaughton) explains, “the divinity within the woman and the balance that can be found in I and I. It’s celebrating that union.” Watch the “Majesty” video HERE. 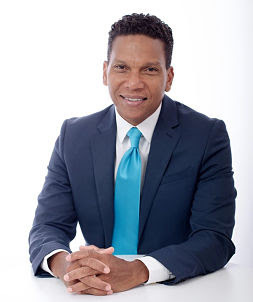 ON DUTY: From 2009 to 2014, he served as Jamaica’s Consul General to Toronto. 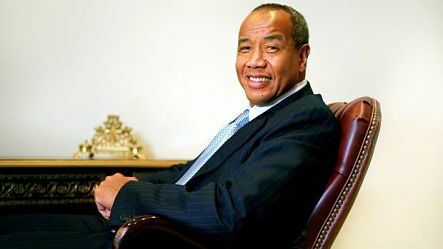 Come January, Seth George Ramocan will officially assume the role of High Commissioner to the United Kingdom, succeeding Aloun Assamba, who has returned to the COK family. Ramocan will serve as non-resident high commissioner to the kingdoms of Norway, Denmark and Sweden, the republic of Finland and the republic of Cyprus. 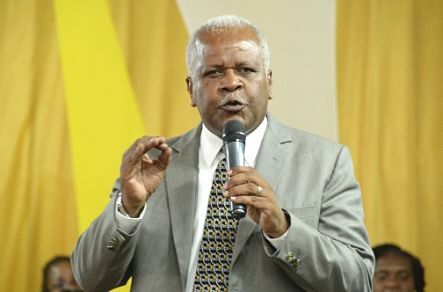 Hailed by foreign affairs minister Kamina Johnson-Smith for his contributions to diplomatic service, politics, education and civil society, Ramocan is also an ordained pastor and is a former Vice Chairman and interim Executive Director of the HEART Trust/NTA. 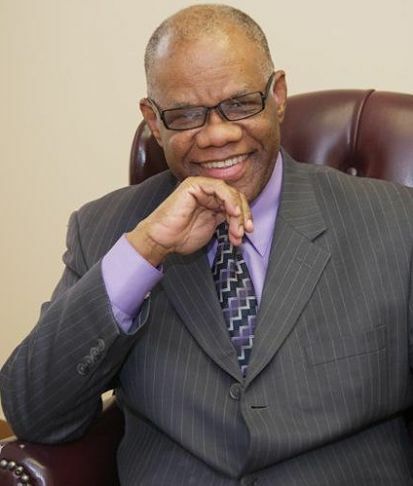 He holds a Masters in Interdisciplinary Studies and an Associate degree in Business Administration. 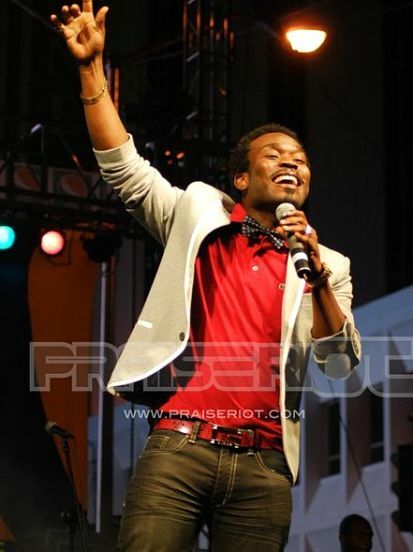 ON STAGE: After a brief dalliance in the secular world, Prodigal has made his return to the gospel scene official. 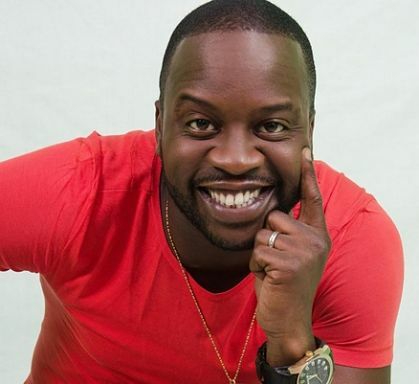 The ace deejay is among a cadre of heavyhitters who will rock the stage at AIM First Fest on Monday, January 2, at the Ranny Williams Entertainment Centre, kicking off the brand New Year with a night of praise, thanksgiving and festive celebration. American gospel sensation Deitrick Haddon, the main draw at GoSplash in August, is the show’s international headliner. In addition to Prodigal, Haddon will share top billing with Kevin Downswell, Jabez, Carey Sales and Perpetual Praise, among several others. Markland ‘Action’ Edwards will emcee the concert, alongside Basilia Barnaby-Cuffe and Nadine Blair. THIS IS 30! Shelly-Ann Fraser-Pryce capped her supremely memorable year with a glitzy, star-studded birthday bash at the Jamaica Pegasus Hotel in New Kingston on Tuesday night, bringing together a host of friends, family and well-wishers, many of them fellow top athletes and sports administrators, to help her celebrate in fine style. 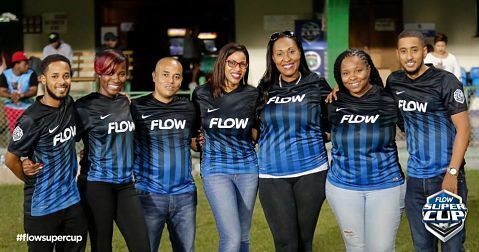 Among those in attendance (and fabulously dressed to boot) were Asafa Powell and his main squeeze Alyisha, MVP prez Bruce James and his lady love Pascal, Jordan Forte, Julian Forte, Hansle Parchment and Elaine Thompson, and the list goes on. As TALLAWAH readers are well aware, the sprint queenpin (who dazzled in a jaw-dropping Uzuri gown) recently appeared on our list of the 12 Most Intriguing Jamaicans of 2016 and is gearing up for the early 2017 release of her first autobiographical book, Pryceless Journey. 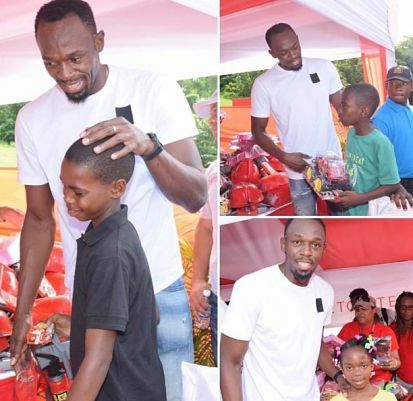 FESTIVE SPIRIT: A man proud of his Trelawny roots and ever ready to give back to the tiny community where he took his first steps, Usain ‘Santa’ Bolt was in Sherwood Content recently for his annual Christmas holiday treat that brought much cheer to the kids and the less fortunate. Food, glorious, food, tonnes of fun activities for the whole family, and lots of presents was the order of the day, which culminated with a night of music. Viewers of the 2016 documentary I Am Bolt got an up-close glimpse at life in the rural district that means so much to the legendary sprinter, who is the favourite to take home Sportsman of the Year honours at the RJR Sports Foundation’s national awards ceremony, scheduled for January 15 at the Jamaica Pegasus Hotel. Bolt, who also made TALLAWAH’s list of the 12 Most Intriguing Jamaicans of 2016 is the reigning IAAF World Male Athlete of the Year. A DIFFERENT 'BREED': Buckle up for a wild and bumpy evening at the theatre. 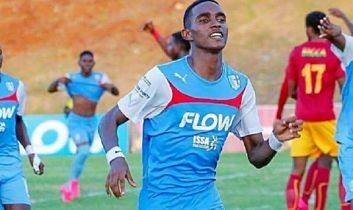 EVERY Jamaican community has one – that father-and-son duo who behave more like rivals than kin, constantly at each other’s throats like wild animals and prone to violent clashes. 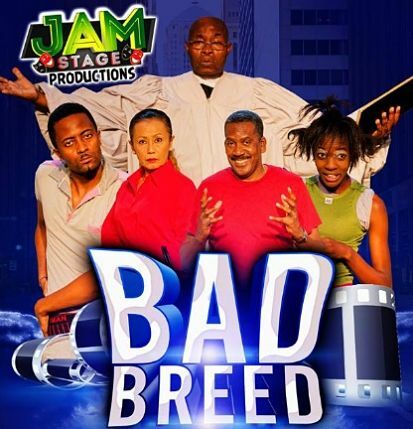 We are introduced to an unforgettable pair in the aptly titled Bad Breed, the latest theatrical provocation from prolific scribe David Tulloch. Strongly acted and smartly written, the roughly two-hour-long dramedy takes a bold, unflinching look at domestic dysfunction, teenage angst and the often heavy price of secrets and lies. Though the show’s pacing needs some tightening and the plot is a bit thin on the meat, it’s a hugely enjoyable romp that makes it clear that Tulloch’s storytelling mojo is still firing on all cylinders. Reeling from the death of his beloved mother, 17-year-old high-schooler Jason James (Poyser) has morped into a self-proclaimed gangster, heavily into stage show promotion and lottery-type scamming – and seems desperate to liberate himself from the shadow of his disapproving alpha-male father Wilfred (Nicholson), who will stop at nothing to keep the boy in line, even if it means turning their house upside down. Things only get more complicated for the two of them when Wilfred pops the question to his longtime steady Jackie Lawson (Salmon), a proud “Christian” woman who impressively dresses like a million bucks but is secretly a schemer with the heart of a sewer rat. She has much in common with Pastor Joe (Grant), a black-clad preacherman with very worldly appetites, to say the least. 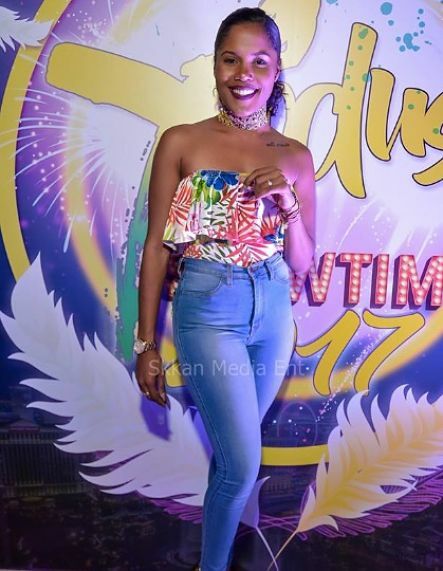 And what can we say about Teeta (fresh face Gordon), the very mischievous and colourful girl from next door who has a thing for Jason and makes it very clear that “everything ah my business.” She’s a natural circus act and brings ample comic relief to the stage. The action, which takes explosive turns at times, unfolds mainly inside the James’ living room, which becomes both battlefield and the site for the shedding of major secrets. Nicholson, the veteran, and Poyser, the fast-rising star, tackle their physically demanding roles with gusto. 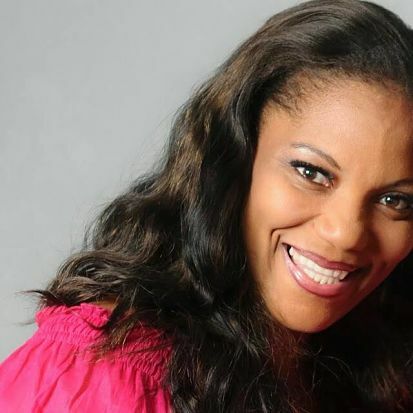 As Teeta, Gordon has tonnes of fun unleashing her brand of mischief on her castmates. And don’t get us started on those outlandish outfit choices. 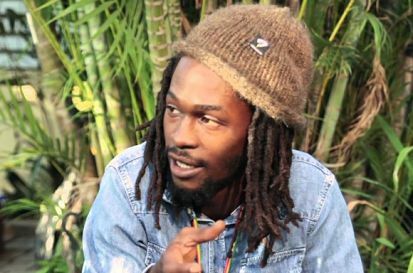 Grant is overly expressive in some scenes, but he brings that same fiery energy he delivered in such roots-play classics as Like Father, Like Son and the Bashment Granny hits. Salmon, meanwhile, gets to eloquently channel some of that Vera Lue-Chen primp-and-properness in crafting her latest matriarchal diva. 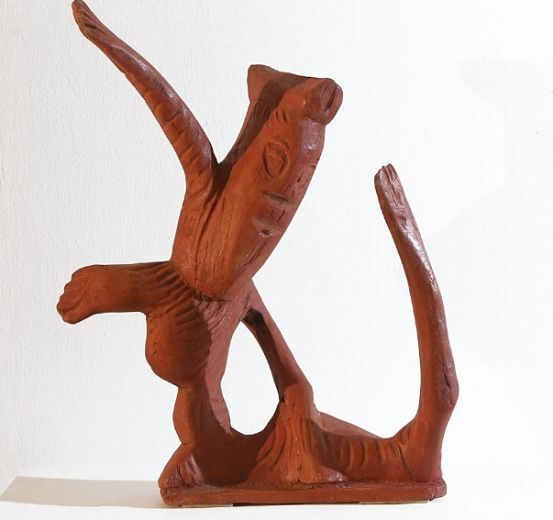 GO FIGURE: Woody Joseph's "Dancer" (1996) is among the visually strong works on view. Spiritual yards. Balm yards. Whatever you call them. They’ve become an indelible part of Jamaican culture, serving as sacred spaces that feature ritual and symbolic objects and messages that are meant to engage or represent the spirits. This season they seize the spotlight at the National Gallery of Jamaica, which has mounted “Spiritual Yards: Home Ground of Jamaica’s Intuitives,” an engrossing exhibition that offers a profound examination of this tradition in our popular island culture. Drawing on over 60 works from the Wayne & Myrene Cox collection, the brilliantly diverse show brings together the work of 10 artists hailing from all over the island. In addition to paintings and sculptures, viewers get to enjoy and ponder over a feast of photographs and a wide array of other media. Best of all, you can take in video footage of these creative artists, visionaries and spiritual gurus (including a few Rastafarians) in their natural working environment, talking about their visions, their inspirations and the processes that result in some truly stunning work. The work of Errol McKenzie ranks among the top highlights, including the stained cedar piece “Moon Pelican” and such mixed-media creations as “Rise of the Moon Mother”. While St. Mary’s William ‘Woody’ Joseph has on view sculptural pieces like “Long-Beaked Bird” and a splendid series of “Untitled” standing figures, Everald Brown of Clarendon shows off his deep Baptist roots via “Praying for Light” (an oil on plywood) and the cedar-derived “Door Keeper” (completed in 1991), among other pieces. Elsewhere, the contributions of the lone female artist Elijah (née Geneva Mais Jarrett) reflect her firm Bible-based beliefs. She makes quite an impression with the oil on canvas “King David House of Prayer” and the oil on broadcloth “The Conquering Lion,” which pulls from the Psalms. Also sure to grab your attention are works by Pastor Winston Brown of Manchester, Reginald English (skilled with polychromed metal), Evadney Cruickshank (“Freeing the Woman from the Frog Spirit,” an acrylic on hardboard) and the resourceful father-son pair of Vincent Artherton and Errol Lloyd “Powah” Artherton, who speak to the power of the ancestors, working with carving wood, metal and even zinc. > “Spiritual Yards” is on view at The National Gallery from December 11 to January 29, 2017. SONGS FOR THE SEASON: The singer interprets carols and classics on the must-hear CD. 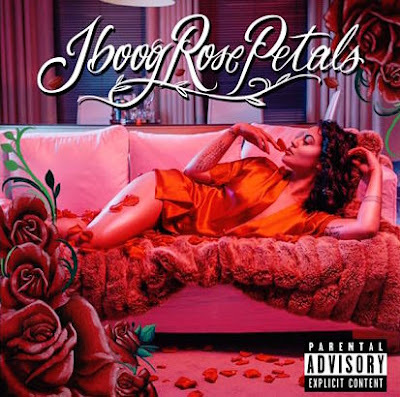 THREE and a half years ago, Stephanie Wallace made her entrance onto the local music scene with the groovy reggae-R&B gem “Right Here,” and we immediately sat up and took notice. Since then, she’s had us hooked, serving up a slew of hypnotic singles like “Real Woman” and “Your Love” and such well-received full-length projects as Real Woman: The Album and The Christmas Collection, which is due for a repeat spin this season. But there’s much more to this petite songstress, mother and businesswoman, who runs her own label/company, Havatio Music, and has a hush-hush book project in the works, tentatively slated for a February release. TALLAWAH rang up the mogul-in-the-making to talk about her memorable year, what she really wants for Christmas, and what’s on tap for 2017 and beyond. TALLAWAH: What kind of year has it been for you? Stephanie: It was a really productive year. Havatio Music, my company, has partnered with Black Light Records to co-manage me. And half of the year was spent working on my book, which I’m hoping will be ready by February. We are also gearing up to drop the remix for “Your Love”, but at this point the guest artiste is still a surprise. Early next year we’ll release about two more singles, and I’ll be opening for Peter Lloyd on the Pure Love tour. TALLAWAH: That’s a lot to look forward to. Let’s talk about your Christmas album, which was first released in 2013. Why was it important for you to re-release it? 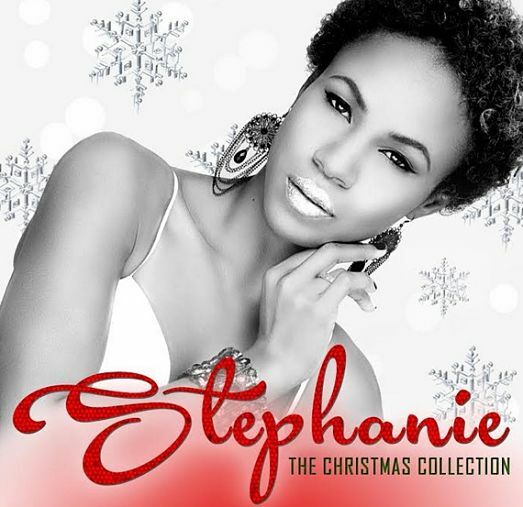 Stephanie: I wouldn’t call it a re-release; it’s an album for the holiday season. Christmas comes around every year, and I love to revisit it and put some fresh power behind it. People call me from time to time asking for physical copies for their gift baskets, and companies will order copies in bulk. So there’s always a demand for the album. TALLAWAH: That’s hard work paying off. So, as an indie artiste, what’s it been like carving out a niche for yourself in the ubercompetitive music industry? Stephanie: All of us as indie artistes appreciate getting mainstream recognition. But, as an independent artiste, you have 100 percent control of your revenue, and I think that’s the biggest perk. But partnering with Black Light has me poised for greater things. It’s offering me the opportunity to still be an indie artiste but reach a wider market. 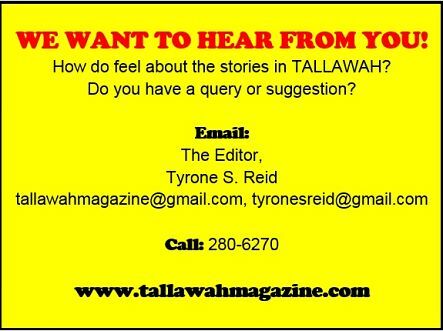 TALLAWAH: What’s on your Christmas wish list this year? Stephanie: I’ve already gotten what I want: the ultimate purse (Laughs). I also want Jamaica to have a #CrimeFreeChristmas, so let me jump behind that initiative real quick. And being around friends and family, the people who love you, that’s always great. And I want to be debt free! (Laughs). So let’s raise a glass to that. TALLAWAH: Since your breakout, you’ve worked with a slew of fellow indie artistes, but who are some of your dream collaborators? Stephanie: The list would be too extensive to name everybody. There are so many artistes I admire that I’d love to work with. But if I had to name only one, I’d pick Alex A-Game, who is another indie artiste that’s very talented. TALLAWAH: Turning towards 2017, what do you hope to improve on or do differently in your creative life? Stephanie: Creatively, I’ve been in a really great space, but I’d probably make more time to song-write; zone in creatively on the songwriting process. It’s a lot to balance – managing my career, running my company and being a mother – so I also want to take better care of myself and how I deal with the demands on my time as an artiste and as a woman. TALLAWAH: Looking 10, 15 years down the line, what are your ultimate career goals? Stephanie: I want Havatio Music to become one of the leading independent record labels in the region, competing directly with other international labels and helping artistes to hone their skills. I think all the experience I’ve gained over the years will help me have a major impact on the local scene. I want to give other artistes the opportunity to fulfil their dreams. > Order your copy of The Christmas Collection at iTunes.com. LOST & FOUND: LMR brings out the lyrical maestro in the gospel icon. 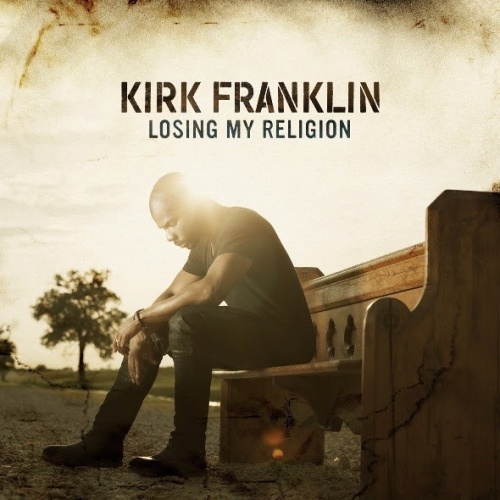 For over two decades and counting, Kirk Franklin has been blessing gospel music lovers with songs that lift the spirit and soothe the soul. Along the way, albums like the Nu Nation Project, Rebirth and Hero have morphed into classics, and he’s picked up almost every major award you can think of. Four years since his last full-length release, Hello Fear, Franklin seems to be in a different place artistically and spiritually, and he candidly, unflinchingly shares the testimony on Losing My Religion (RCA/Fo Yo Soul Records), a melodic 13-track triumph. A nominee for Best Gospel Album at the upcoming 59th Grammy Awards ceremony, the disc comes laced with refreshing perspectives on humanity and Christian living and finding joy in the midst of the storm. In other words, while the iconic singer-songwriter has renewed his vision, his mega-sized capacity for well-crafted ballads and empowering anthems is as potent as ever. But the album’s best moments include the pleading, self-explanatory “Pray for Me” and the prayerful, beautifully rendered “Intercession”, which will move you to tears. At this stage of the race for Best Actor, Casey Affleck has emerged as the man to beat, thanks to his critically lauded performance as an uncle who reluctantly become the guardian of his nephew (played by talented newcomer Lucas Hedges) after his brother's untimely death. 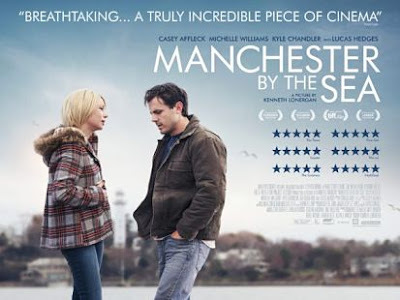 Tackling family dynamics, grief and the ties that bind, this audience favourite from writer-director Kenneth Lonergan, could take home a handful of Academy Awards, including a screenplay prize for Lonergan and a supporting-actress win for Michelle Williams (Blue Valentine), who plays Affleck's estranged wife. What superlative hasn't already been used in hailing this critically praised meditation on Black manhood, domestic dysfunction and coming of age amidst fear, violence and grappling with one's sexuality? 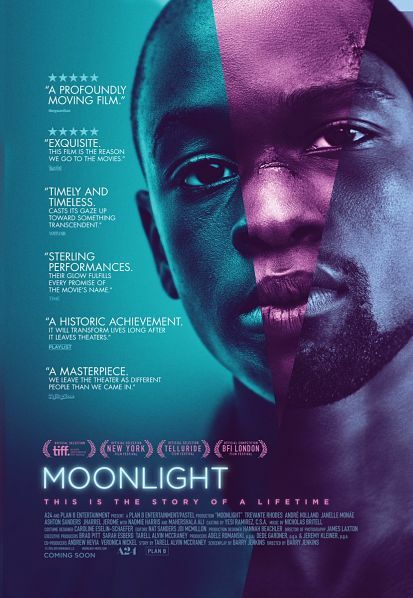 If the critics are to be believed (and they can't all be wrong), writer-director Barry Jenkins, adapting Tarell McCraney's lyrical stage play, has produced a film that's as stirringly told as it is beautifully shot, with strong turns from a predominantly male cast led by Trevante Rhodes, Naomie Harris, Andre Holland and Mahershala Ali. 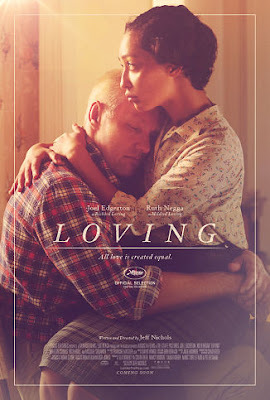 Joel Edgerton (Animal Kingdom) and debutante leading lady Ruth Negga give career-defining performances as Richard Loving and Mildred Jeter, an interracial couple who have to fight for their right to marry in 1950s Virginia, in this bruising film that strikes parallels with the modern-day fight for gay rights. Above all, a story like Loving offers the compelling reminder that the course of true love never does run smooth. 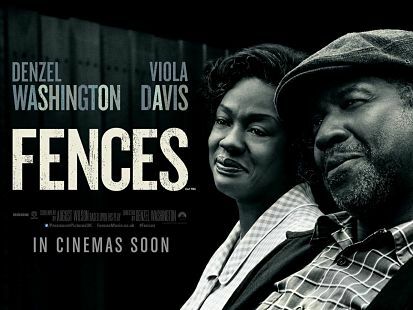 August Wilson's timeless Pulitzer-winning novel about fervent hopes and dashed dreams roars to life in this long-awaited big-screen adaptation that reunites Denzel Washington (as overbearing patriarch Troy) and Viola Davis (his long-suffering wife Rose), who both won Tony Awards for their portrayals four years ago. Buoyed by their powerful performances, Washington's sure-footed direction and glowing praise from reviewers, their names are bound to appear on next February's Oscar ballot. It's been described as the kind of feel-good movie musical that Hollywood doesn't make any more. How lucky for actors Emma Stone and Ryan Gosling that they got the nod from passionate director Damien Chazelle to lead the cast in this razzle-dazzle ode to vintage Hollywood filmmaking, complete with vibrant costume design, repear-worthy musical numbers and a story that, according to bowled-over critics, rousingly entertains and inspires. 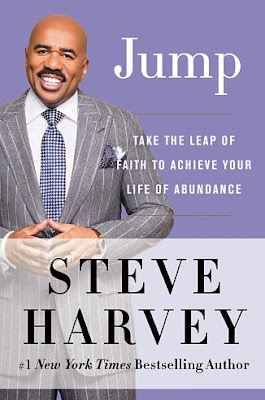 After topping the New York Time bestseller list with titles like Act Like a Lady, Think Like a Man and Straight Talk No Chaser, Harvey has returned to bookshelves with this part-autobiographical, part self help/motivational tome that not only shares his tried-and-proven strategies for getting ahead but also how he overcame some of the tallest hurdles and never-saw-that-coming moments in his life, including that ne'er-to-be-forgotten blooper during his hosting duties at the Miss Universe pageant. 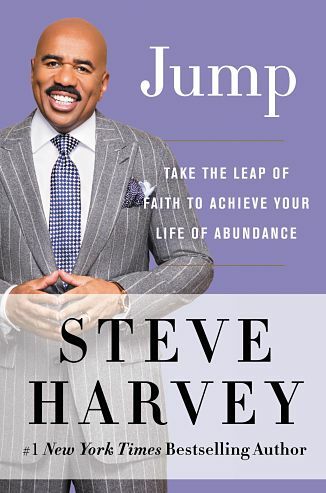 It's Steve Harvey as his devoted readers have come to know and respect: telling the truth and keeping it real. 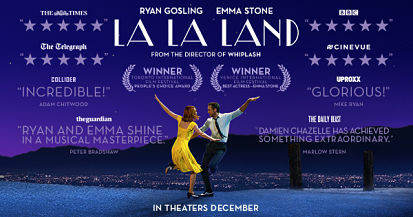 Natalie Portman (Black Swan) brings the requisite emotional heft and pitch-perfect vocal work to her big-screen portrayal of Jacqueline Kennedy in the awards season darling, Jackie, a film that prompts us to recall Helen Mirren in The Queen and the late Philip Seymour Hoffman in Capote. Judging by the compulsively watchable two-and-a-half-minute trailer and the critical hosannas that have greeted Portman's performance (she won Best Actress at the recent Critic's Choice Awards), she gives a compelling turn that could take her all the way to the Academy Awards stage next February, for the second time. With the Twilight franchise now a fleck in his rear-view mirror, Taylor Lautner now seems eager to sink his teeth into some meaty roles. He impresses us deeply in Run the Tide, a laudable domestic drama centred on two closely-knit brothers -- one aged 25, the other only eight -- and the tussle that eventually tears them apart. Lautner convincingly portrays Ray, the good-natured older sibling who is tasked with raising his precocious kid brother, Oliver. Things get topsy-turvy when their drug-addled mother is released from prison and makes it her mission to finally "do right" by Oliver, in spite of Ray's stern objections. 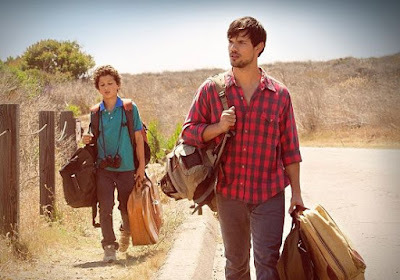 Making some potent statements about family and finding oneself, Run the Tide is a well-made and strongly acted indie film. 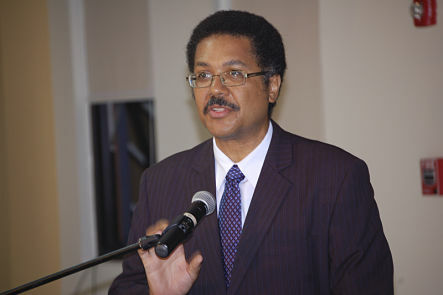 THE MAN FOR THE JOB: Professor Stephen Vasciannie has been appointed President of the University of Technology (UTech). He will officially take up the post on January 2, 2017 on a three-year contract. A former Jamaican ambassador to Washington and a one-time Principal of the Norman Manley Law School, Vasciannie comes to this latest post from the Faculty of Law at the UWI Mona Campus, where he's been based since returning to the classroom full-time. 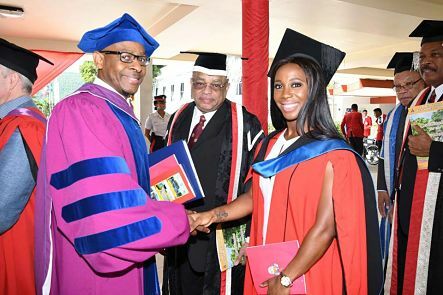 As UTech President, he will carry out the functions of chief academic and administrative officer of the university, reporting directly to the university council through its Pro Vice-Chancellor. 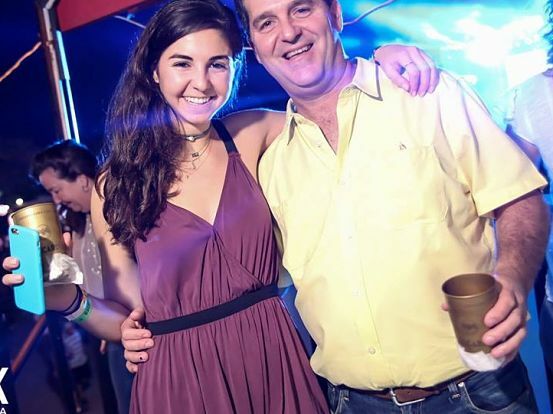 Vasciannie will also be principally responsible for implementing the council's policies and will exercise such executive powers as necessary for the proper administration and operation of the university. IT'S A DEAL: In addition to the multiple awards he's already picked up this season and the slew of honours headed his way, Usain Bolt has capped his fantastic year by extending his contract with one of his loyal corporate sponsors - Gatorade, with whom he teamed up to release the clever two-minute animated film, The Boy Who Learned to Fly," ahead of the Rio Summer Olympics. 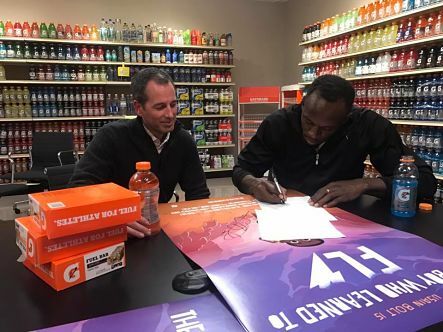 A few days ago, the Olympic champ and World's Fastest Man sat down with representatives from the energy drink company to sign the paperwork. "Great way to end the year," he tweeted afterwards, "with an extension of the Gatorade partnership." 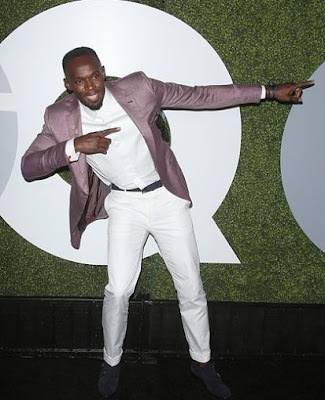 Meanwhile, Bolt inked a deal with XM last month, to serve as a brand ambassador for the next three years. And their could be more endorsement deals to be announced as the London World Championships draw closer. 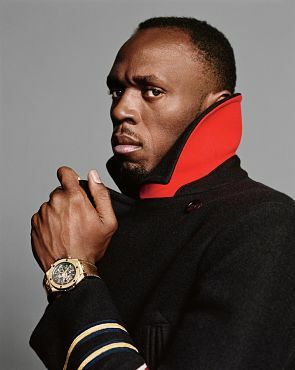 As the figures show, Usain Bolt is the highest paid track-and-field athlete in the history of the sport. 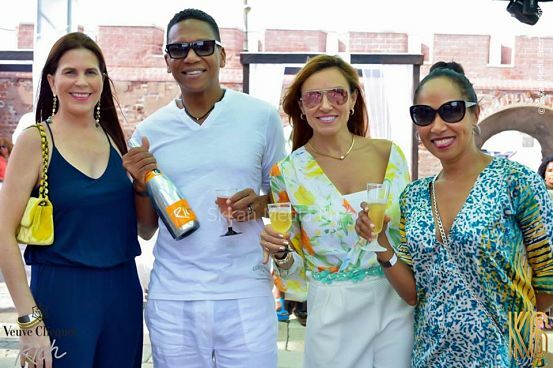 His $32.5 million in yearly earnings is roughly ten times what other top track stars (including Canada's Ashton Eaton and the UK's Mo Farah) bank annually.